EMP also offers windshield combos which include both a Full and Half Windshield so you can easily switch back and forth. See P/N: 13620-13621. Made from Thick 3/16” Hard Coated Polycarbonate. Hard-Coated on both sides unlike others on the market. Attaches with Patent Pending Rubber Fast Straps. DOT Rated and etched into the plastic. Sides extend beyond the cage for added protection. Protect yourself from wind, rain, snow and mud with this hard coated windshield. It is hard coated on both sides. 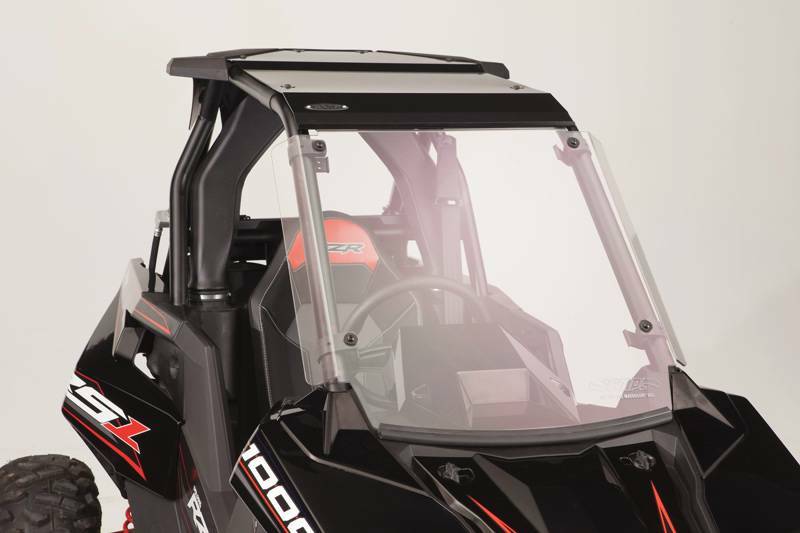 Made from polycarbonate making it virtually un-breakable under normal use and may be the last windshield you will ever buy. 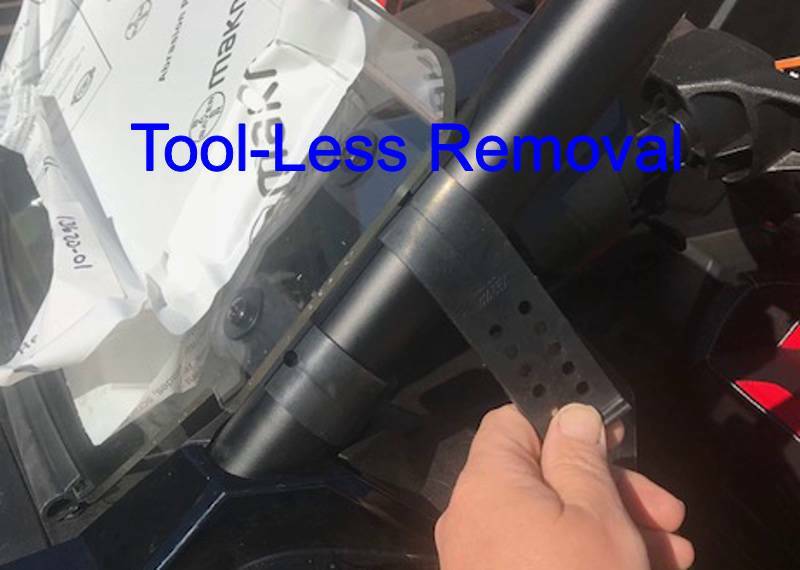 The patent pending rubber fast straps make tool-less removal quick and easy.